Description: The main stems arise from a creeping stolon, usually they are short and unbranched. There are annulations at the base of the main stem and between each hydrotheca. The hydrothecae are alternate and diverge from the main stem, giving the colony a zig-zag appearance. They are barrel shaped and have pronounced horizontal wrinkles. The aperture is roughly square shaped, and has a tiny denticle at each corner. The operculum consists of four flaps. The gonothecae are large and oval shaped, and have transverse annulations. The orifice of the capsule is quadridentate. 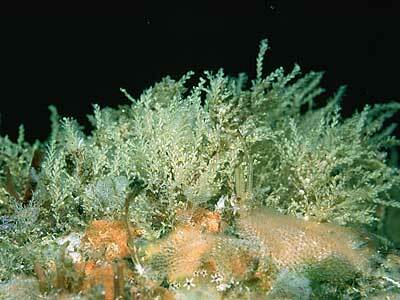 Habitat: This species often grows attached to other hydroids, algae, and also on the bryozoan Flustra foliacea. 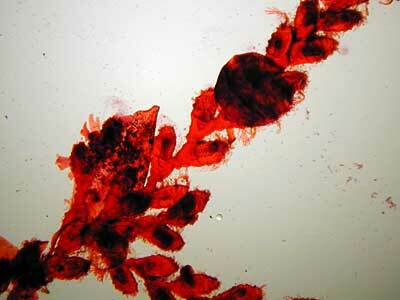 Distribution: Sertularella rugosa has been recorded from all around the British Isles but is more common in the north. Similar Species: The main stems are more robust than those of Sertularella tenella, and the annulations on the hydrothecae are much more well-developed than in that species. Picton, B.E. & Morrow, C.C. (2016). Sertularella rugosa (Linnaeus, 1758). [In] Encyclopedia of Marine Life of Britain and Ireland.